Laid down, 5 December 1944, at Bethlehem-Hingham Shipyard, Inc., Hingham, MA. 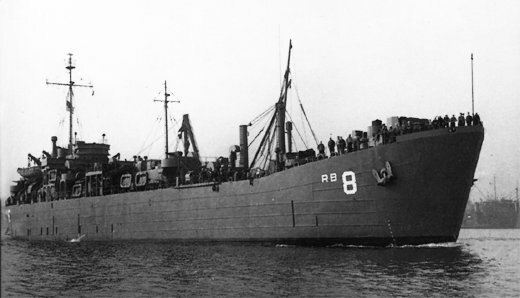 Decommissioned, date unknown, for completion as a Battle Damage Repair Ship at Maryland Drydock Co., Baltimore, MD. Decommissioned, 20 May 1947, at San Diego, CA. 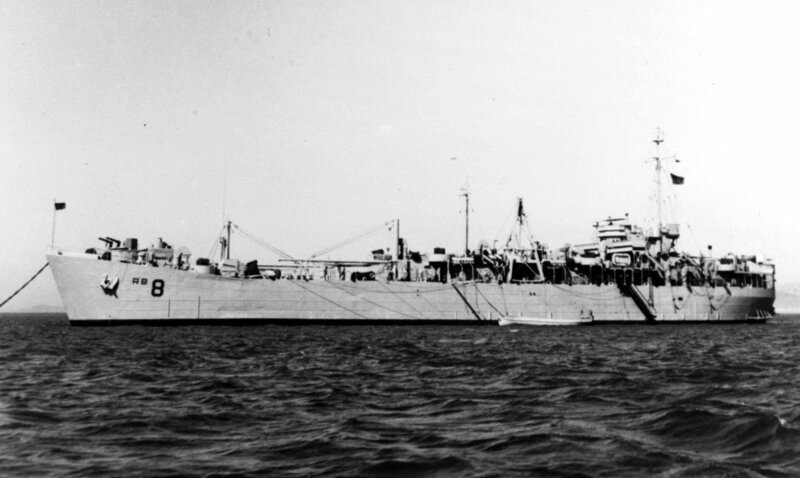 119k USS Telamon (ARB-8) at anchor, circa 1946, location unknown.